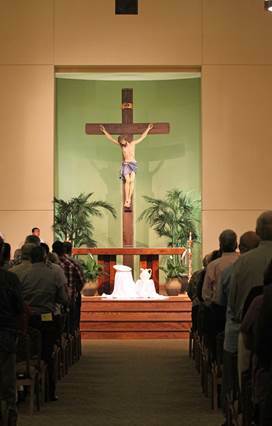 The Mass will be live streamed via Facebook Live (https://www.facebook.com/orlandodiocese/) and http://live.orlandodiocese.org/. 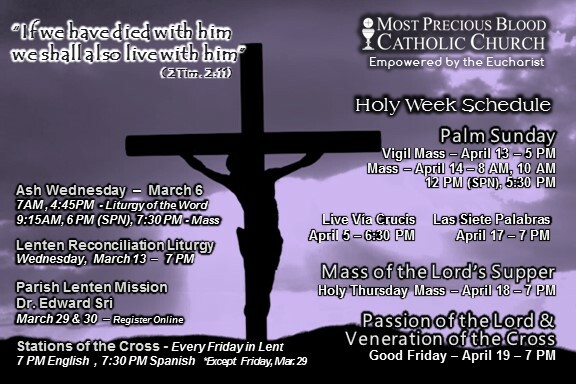 What is the Triduum? The summit of the Liturgical Year is the Easter Triduum—from the evening of Holy Thursday to the evening of Easter Sunday. Though chronologically three days, they are liturgically one day unfolding for us the unity of Christ’s Paschal Mystery. The Sacrament of Penance — Go to Confession during this Lent and experience the gift of God’s boundless mercy. Lectio Divina for Lent — Mediate on God’s Word with Lectio Divina guides for the Sundays of Lent that focus on themes of the Jubilee of Mercy and can be used by individuals or in group settings. Fasting is to be observed by all 18 years of age and older, who have not yet celebrated their 59th birthday. On a fast day, one full meal is allowed. Two other meals, sufficient o maintain strength, may be taken according to each one’s needs, but together they should not equal another full meal. Eating between meals is not permitted, but liquids, including milk and juices, are allowed. 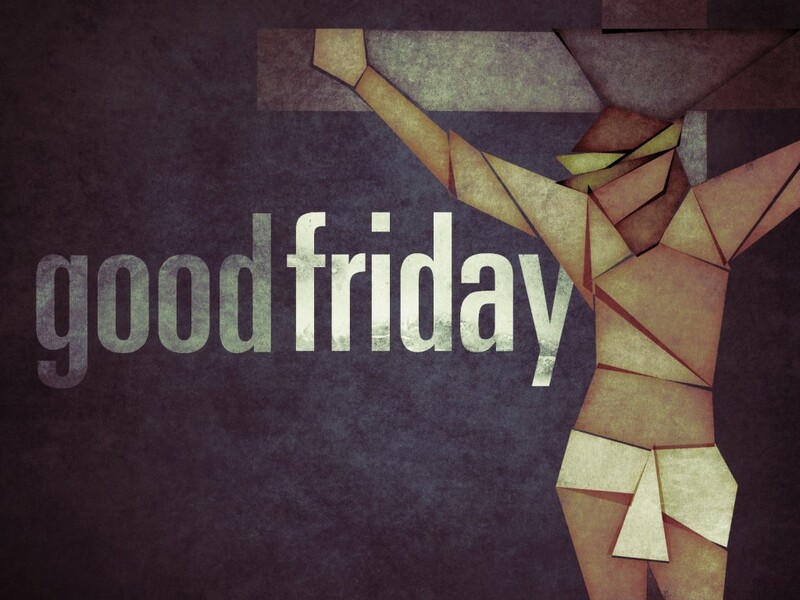 Ash Wednesday and Good Friday are days of fast and abstinence. All the Fridays of Lent are days of abstinence. Fasting, almsgiving, and prayer are the three traditional disciplines of Lent. The faithful and catechumens should undertake these practices seriously in a spirit of penance and of preparation for baptism or of renewal of baptism at Easter. 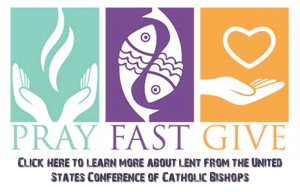 Click on the image to learn more about Lent from the United States Conference of Catholic Bishops. ← An evening of Contemplative Prayer and Music- Thank you for joining us. Watch the recording for further reflection.